THURSDAY, Jan. 3, 2019 (HealthDay News) -- An old acne drug may hold the key to developing a new, safer treatment, a study suggests. Isotretinoin (Myorisan, formerly branded as Accutane), is a form of vitamin A, and has been prescribed for acne for decades. It works by reducing oil in the skin, thus helping prevent acne. An additional benefit of the drug has recently come to light. It alters the bacteria on the skin of acne patients to more closely resemble the skin of people without acne, researchers report. This discovery might lead the way to create bacteria-based treatments, said lead researchers Makedonka Mitreva, an associate professor of medicine, and Dr. William McCoy, a dermatologist and instructor of medicine, both at Washington University in St. Louis. Although isotretinoin is effective, it can cause severe birth defects, so it's dangerous when used in women of childbearing age, which is why an alternative is needed, the researchers explained. Antibiotics are often prescribed to target the bacteria called Cutibacterium acnes, also called Propionibacterium acnes. These drugs, however, aid the development of resistant strains of bacteria and can kill off potentially beneficial microbes. Isotretinoin isn't an antibiotic. It's believed to treat acne by drying out the skin, which makes it a less inviting place for acne germs to flourish. It's the only treatment that reliably clears acne over the long term, the researchers noted. For the study, the investigators sampled bacteria from the skin of 17 patients treated with isotretinoin. They compared this bacteria with samples from eight people who hadn't been treated -- four had normal skin and four had acne. In isotretinoin patients, an increase in the diversity of microbes was seen on the skin. DNA sequencing identified four types of bacteria that bloomed with isotretinoin. 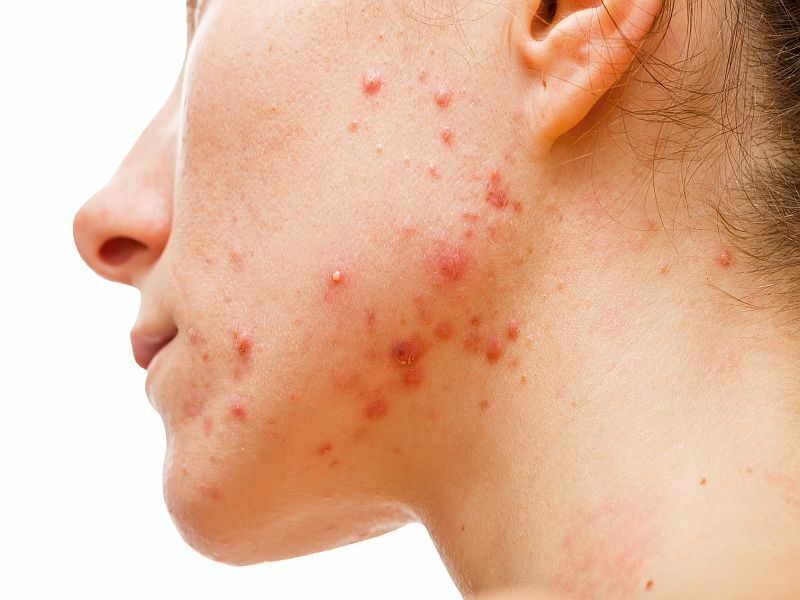 None of these had been associated with improved acne before. With isotretinoin, a reduced amount of Propionibacterium acnes bacteria was also seen, even though diversity of bacteria increased. By understanding how isotretinoin works, it might be possible to develop a similar drug that is more effective and doesn't have negative side effects, the scientists said. "Women often will go without treatment for acne during their pregnancies because there just aren't good therapies that are totally safe to use during that time," McCoy said in a university news release. "They need other options. Our study suggests there could be a way to provide some type of microbial 'fertilizer' or 'weed killer' on the skin to help promote the growth of healthy microbes," said McCoy. "We're conducting a larger study to look more closely at these questions." The report was published recently in the Journal of Investigative Dermatology.